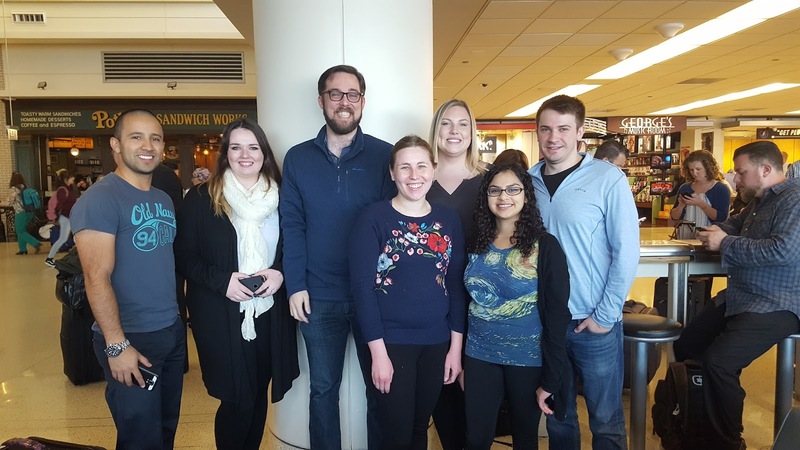 As a part of the professional development of our MAEUS students, the European Union Center offers students the opportunity for a trip to Washington D.C. in the Spring semester. This year's trip happened from March 21 to the 25. This article is Part Three of a series of posts written by different MAEUS students. In this article, Katherine Brown discusses the trip to the State Department. Previous entries in the series can be found here. Entries on previous DC trips can be found here. On the last day of our trip to DC, we had the opportunity to visit the State Department! As a student with a focus on international relations, this was the highlight of my trip! The State Department staff did not let us down. Along with our original contact for the trip, five other staff members sat in on our meeting and allowed us to ask questions. These staff members originated from both the Civil and Foreign Service, and focused on various issues such as Brexit, trade, public opinion and the Balkans. It was very impressive and definitely an honor to be in the same room with people who have spent so much time in the State Department serving our nation's foreign interests. It was hopeful to hear the Foreign Service will still be a career path for students like me to take, and they encouraged us to take the test. “It’s a lifestyle choice,” they said. They shared their own experiences in the Foreign Service, including their times spent living in Rwanda, Bosnia and Russia. They also advised us on several internships and fellowships available to graduate students. As a student looking to go into public service, I am convinced the Foreign Service is definitely something I would like to look into. I really enjoyed hearing from the Foreign Service officer who specializes in the Balkans, as it is a region I am very interested in. It was exciting to hear about the challenges and benefits that come with working on policies for that region. The group that we met with was incredibly diverse, professional, and optimistic. It was quite different from how I imagined the State Department would be. All of the MAEUS students had the opportunity to ask any question they want, and they assured us that the Foreign Service route is definitely a pathway into government that is still active, interesting, and secure. It was an honor, and I am so glad they were incredibly candid with us. It was an experience I will not forget. The trip to DC was definitely exciting. I saw parts of DC I had never seen in my prior trips and met many experts willing to discuss their experiences. I learned about fellowships and internships available to me and heard about what it is like to work in different sectors and to live in DC and abroad. I am much more confident in the career path I would like to take. I have plenty of career and networking advice that I need in order to be successful in applying to jobs available in DC and internationally.